This entry was tagged Baker, Bateman, Beachell, Biles, Boise, Bolt, Borup, Browns Creek, California, Christensen, Clearlake, Collier, Colma, Daly City, Eckman, Fall River Mills, Fancy Gap, Filer, Gary, Goodman, Graham, Gridley, Harrison, Hiatt, Hillsville, Humphries, Hyde, Idaho, Jensen, Los Angeles, May, Mormon, Oakland, Paul, Phibbs, Pulaski, Redding, Reed Island, Ross, Rupert, Salt Lake City, San Francisco, Santa Rosa, Thorpe, Twin Falls, Utah, Virginia, Welch, West Virginia, World War II. Bookmark the permalink. Good morning. I am the grand-daughter of Calvin & Fanny Phibbs. I am one of 8 children of William (Billy) Robert Phibbs. Donna Beachell, who did much family research was my cousin, Catherine Phibbs Beachell’s daughter. I have just started my work on family history and would be dilighted to correspond with others who are doing so. I would be happy to correspond with you. Please e-mail so we can compare notes. Hello, I am Viola’s grand daughter, I would be very interested in receiving updates to our family history and thanks for posting. Fanny was just visiting Salt Lake when gpa Ross came to visit. 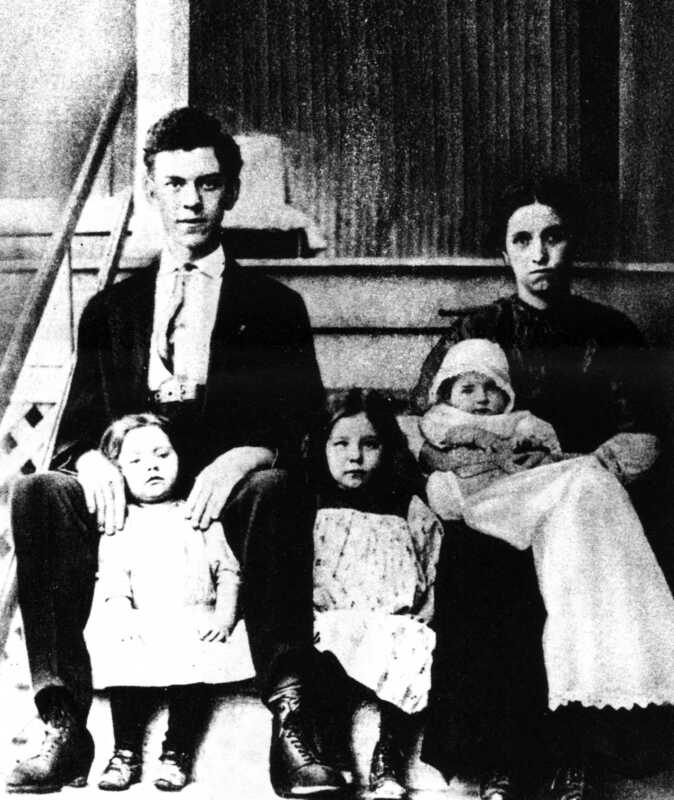 According to William, (and his baptismal records) she had taken some of her children there from central California to be baptised in the Temple, at the urging of Uncle Jim. Hello, I am the eldest grandchild of Viola Belle Phibbs, I would like to thank you for this history of our family. Lisa, I would like to correspond with you regarding your portion of the family. Please e-mail me. Hi, I’m Richard G. Hyte, son of Helen Phibbs Hyte who is a niece of Calvin D. Phibbs. My mother’s father, John “R” Phibbs, is Calvin D. Phibbs’ brother. I had the opportunity of talking to Donna Perry about our common ancestry many times in past years. I would like to keep contact with any of C.D. Phibbs’ ancestors to continue common genealogy research. Hopefully others will be able to contact you if they find my post. You will want to post your e-mail though. Wow, very cool. I am Viola’s granddaughter, so that makes us cousins? Thank you so much for this fabulous piece of history about my family! I am the grand daughter of Viola Belle and great grand daughter of Fanny. I love learning about my family history and the photos are especially awesome! I see a strong resemblance between Calvin and my father, also named Calvin. Thanks again! thank you for sharing this info. I am very grateful. My name is Michael Perry i’m am the grandson of Viola Belle and great grandson of C.D. and Fanny. i look forward to learning more and hopefully contributing in some way. thanks again. Wow! This is amazing. I am the eldest great – granddaughter of Viola Belle, granddaughter of her eldest Shirley Anne and daughter of Richard (Shirley’s eldest). I have my own two children now so this will be amazing to teach them about. I never knew most of this information and am thrilled to have it. Thank you! Hello and thank you very much for providing this amazing family history. I am the granddaughter of Viola Belle and great grand daughter of Fanny and very grateful to have been able to read my family history. I would be interested in hearing any updates. Thanks again! I am the youngest of Viola Belle Phibbs’ grandchildren.. Thank you very much for this bit of family history..
My aunt married Arthur Lee Phibbs. Her name was Antonia Elizabeth Strasters from S.L.C., Utah. I have not been able to locate their children. I did find out Arthur Lee Jr. Died. I have put a lot of information on family search.org. Maybe there is something you can use there. If you have any information I could use I would appreciate it, also. Also I have pictures of the family. Hi Nancy, it’s Elaine second daughter to Arthur L. and Antonia Elizabeth….i see this post is 2014, I have not gotten on this for a long while….what kind of pictures do U have of the family.YOUR side the Strasters or the Phibbs side…???? and I’m on facebook ….would love to hear from you…. are you Uncle Bills daughter, or Uncle Ted’s daughter??? My brother Calvin Dickenson, not Dickerson is still alive and so is my sister Lorraine Susan , little brother Glenn Allen passed away a few years ago..can’t remember the date, my sister would know the dates more than i since she saw him last… anyway thought i send you this note since i was really happily Surprised to see your post……………..
trying this again…..not sure if these reply’s are even being posted AS I DON”T see them……………..your my cousin from my mom’s side…. your dad was either Ted or Bill Strasters… yes my oldest brother Arthur Lee Jr. passed away and so did my baby brother Glenn Allen My sister Lorraine Susan is still alive and living in W. Virginia with her Husband George Harvy Ross Sr and my younger brother Calvin Dickensen ( not Dickerson) is still alive and living here in Calif…with his wife I guess but not sure as we haven’t spoke since before my mother died in 2001 my e-mail is [respond to post or e-mail webhost for e-mail] and my current phone is [email webhost for phone number]… as said in other reply’s Hope all is well with you and yours……. Hi Nancy, my name is Rachel Elizabeth (Ross) Temple-Harris and I am the eldest daughter to Lorraine Susan (Phibbs) Ross and also eldest granddaughter to Antonia Elizabeth (Strasters) Phibbs, the wife of Arthur Lee Phibbs. This article has been both amazing and enlightening, and I hope that all of my extended family all over the world fairs well. I am married to a Brit & Texan, and we have two daughters. My husband is active duty Coast Guard so we have traveled and lived all over the U.S. but our hearts are in Florida. This post may not reach a lot of family members but I wanted to post here anyway to let everyone know that we think of you all the time and hope you are all well. Calvin D. Phibbs was my great uncle. His brother, John “R” Phibbs is my mother’s father. I have talked to Donna Perry many times on the phone and shared ideas about the Phibbs ancestry. My mother’s brother Elmer agreed to participate in a DNA test with FamilytreeDNA. The results are interesting and I am willing to share them with anyone who is interested. Hello, My name is Calvin Louis Perry Born July 6, 1943 in San Francisco California, The oldest surviving child of Viola Phibbs and Louis Manuel Perry. Brother Bob is still with us too. I noticed that Richard Albert Phibbs’s Death date is listed as 1983 he died in 1993, he was at his brother Orville’s Bed side when he died on December 25th 1985, which was also Uncle Ricks Birthday. I remember Rick saying to me, (He would have to pick my Birthday to die 🙂 Feel free to contact me. Hello! I have a few questions for anyone who may have heard of/knew Orville Leonard Phibbs. Orville Leonard Phibbs was the son of Calvin and Fanny Phibbs. I did not know him personally and know very little of his family. Do you know him? Long story short- my mother was adopted and her adopted parents never gave her much info regarding her real family. So I did my own research not too long ago & I found info on her birth parents, along with some other info. My Mothers real mother remarried to Orville before she passed away at a young age. That is a lot of good information! Thank you so much. I was actually interested in learning about the woman he lived with, I think that may be my mothers birth mom. She was never given a lot of information on her but I did my own research and everything leads back to her..so I think it’s the same woman! can’t get into this account….??? Elaine Phibbs DeSantiago… don’t know which e-mail address i used……. Thank you for that information Elaine! I know this is a stretch but does anyone know anything about the brother that killed himself? Or anything about Shirley’s side? According to my mother’s history, her birth mother (Shirley), kept the first two or three kids she had and gave up the others for adoption.